1. 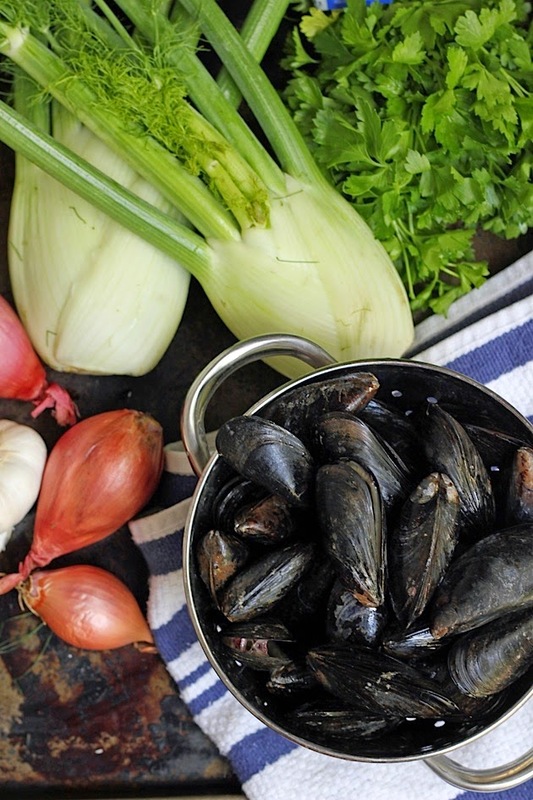 Add the mussels to a colander. Scrub and rinse the mussels. 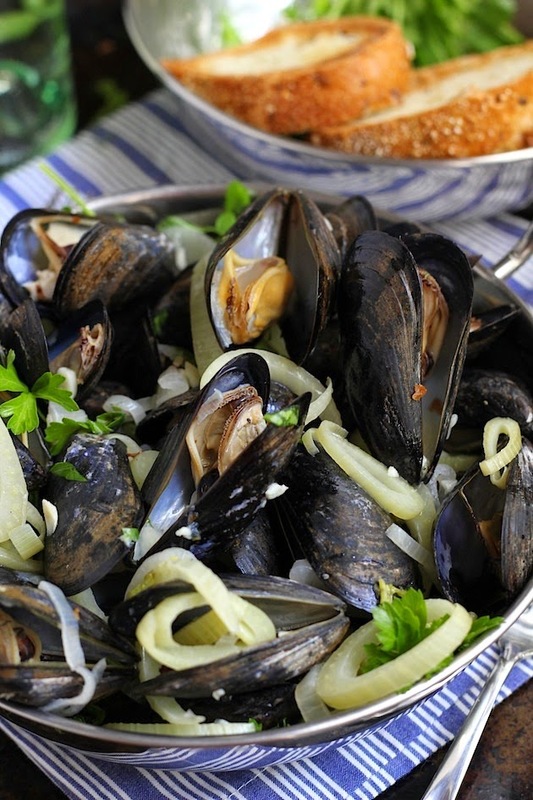 Discard any mussels that are broken or open and won't close when you press it together. 2. Melt the butter in a large pot or 10 in skillet with high sides set over medium-high heat. Then add the shallots, garlic, fennel, and red pepper flakes. Saute them until soft, about 5-7 minutes. 3. Add the mussels and wine to the pot. Stir to combine them with the other ingredients and cover. Cook until all of the mussels are open - about 5-7 minutes. Discard any mussels that don't open. Stir in the parsley. 4. 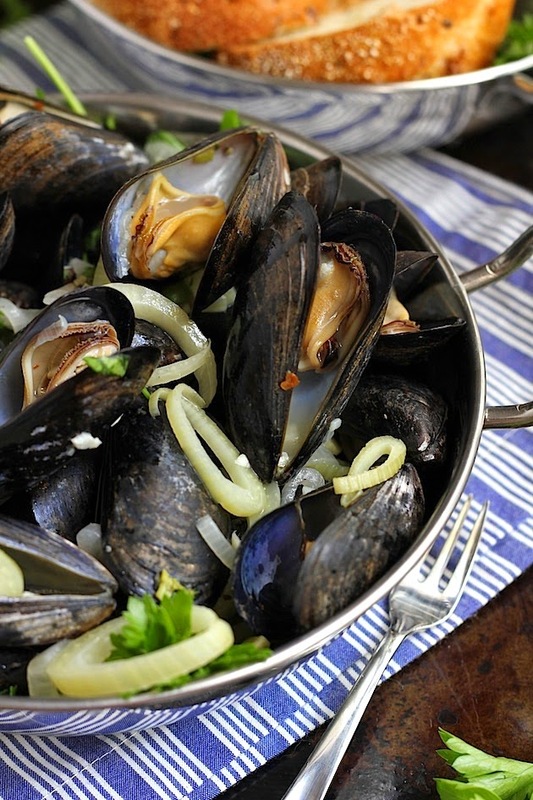 Pour the mussels into a serving dish. Serve immediately with a side of toasted, buttered bread. Basically everything you said about trying new mussels only recently and the fennel sounding amazing is exactly me! This looks outstanding. And maybe minimizing my hesitancy about doing mussels at home!! Beautiful! My husband loves to cook mussels once in awhile so I must show him this. Seafood is definitely a favourite of mine. This looks incredible delicious! You always have the best recipes!